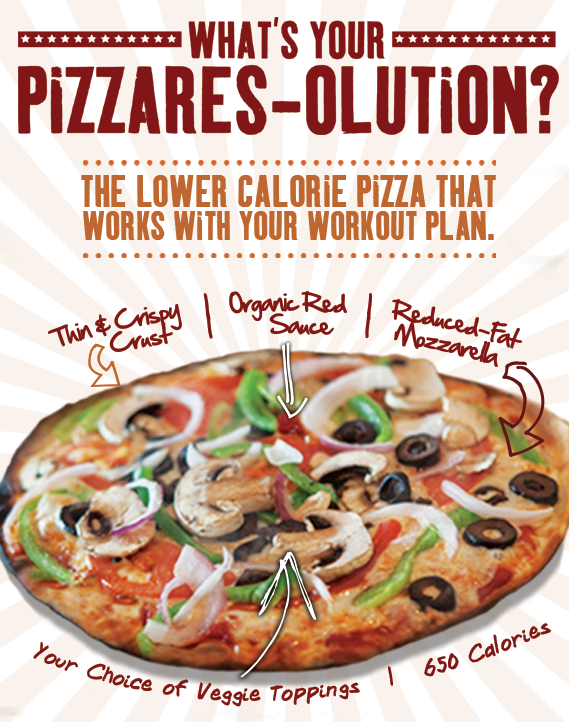 2014 January 26: PizzaRev Introduces its January “Pizza of the Month” THE PIZZARES-OLUTION The Pizza that Works with your Workout Plan! 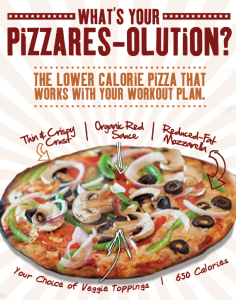 PizzaRev Asks, “What’s Your New Year’s Pizzares-olution?” PizzaRev Introduces its January “Pizza of the Month” THE PIZZARES-OLUTION The Pizza that Works with your Workout Plan! Starting with PizzaRev’s original homemade dough, guests are empowered to “Craft Your Own,” customizing a personal-sized 11” pizza by choosing favorites from a tempting menu of flavorful sauces, delicious cheeses, and over 30+ fresh toppings, all on display and assembled before your eyes in any combination for under 8 bucks. “Your idea of the perfect pizza is unique to you, so we let our guests choose whatever they’d like to add to their pizzas for one affordable price,” said Eckerman. Once crafted, your pizza is placed in PizzaRev’s state of the art open-flame stone-hearth oven, where temperatures can exceed 900 degrees, and is served piping hot in under 3 minutes. With an emphasis on quality and fast & friendly customer service, PizzaRev has earned a reputation for serving better pizza from flour to fire! 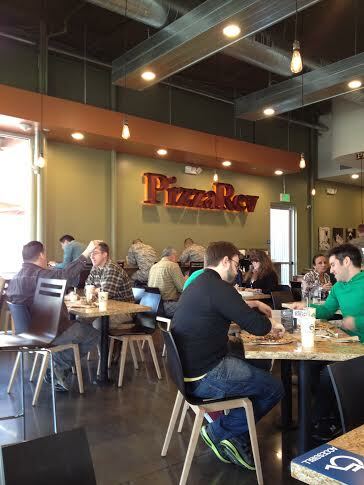 My family had the opportunity to check out PizzaRev this past week and we were all very impressed! First of all, my New Year resolution is to eat healthier and exercise more so I was very excited to go and try a healthier pizza. 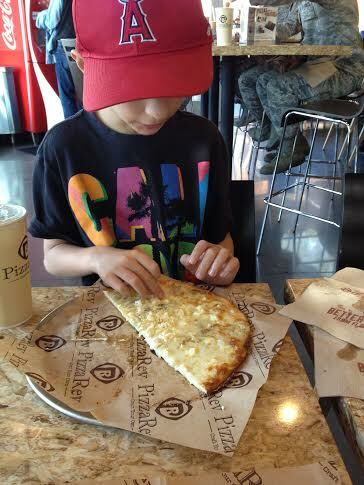 My husband and son love pizza so they were quite thrilled to check it out too. 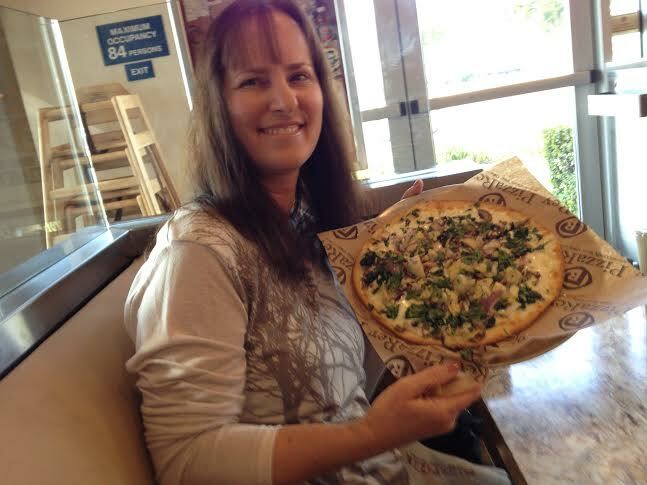 We went to the El Segundo location and we all crafted our own pizzas! 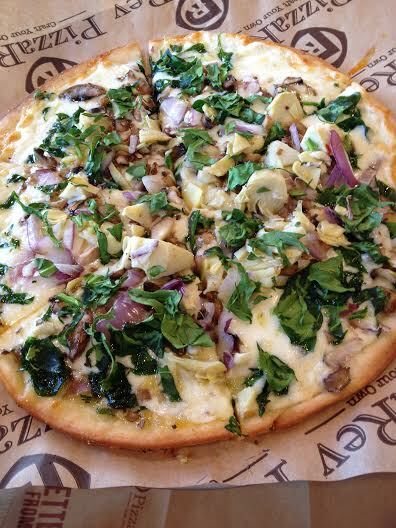 I loved all the choices of veggies and that you could have olive oil as a sauce choice! I’m really not big on Pizza but I absolutely loved this pizza! Of course, my husband loves pepperoni pizza and my son loves cheese! 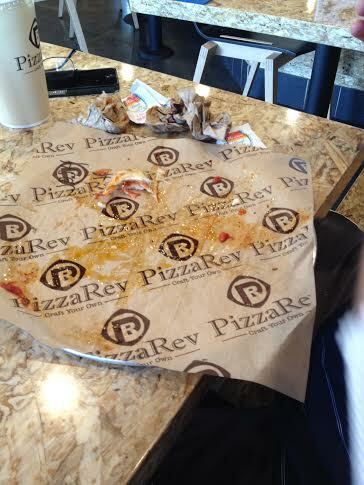 We give PizzaRev a thumbs up for great pizza and wonderful customer service! By the time we were sitting down and eating, there was a line to the door so it was obvious that many other people love the pizza too! 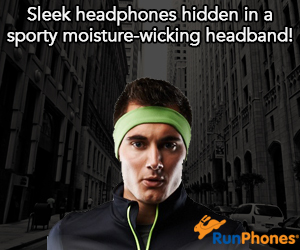 It really is a great experience! My husband finished his pizza and said it’s one of the best pizzas he ever had! Now, that really says something! Pizza is one of his all-time favorite foods! 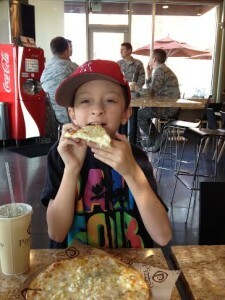 PizzaRev is a great place to eat with the family! 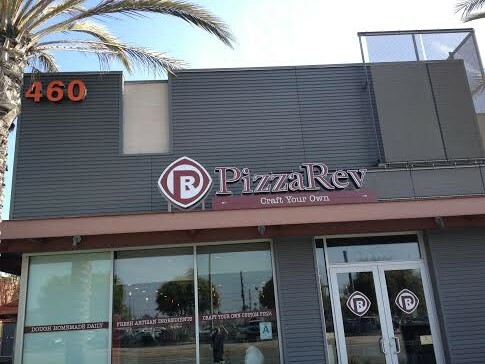 The El Segundo PizzaRev is located at 460 N. Sepulveda Blvd., Suite C, El Segundo, CA 90245. 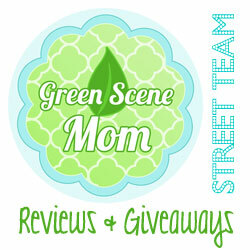 Check out the website for all locations! Self Disclosure: Press info and top photo provided by PizzaRev. My family had the opportunity to eat free to facilitate this review but any opinions expressed are completely truthful and my own. 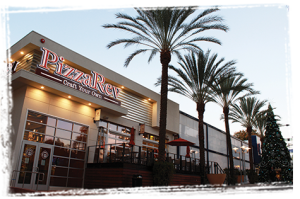 PizzaRev, a leader in the fast-casual build-your-own pizza space, today announced signed agreements with four franchisee groups covering territory in five states. 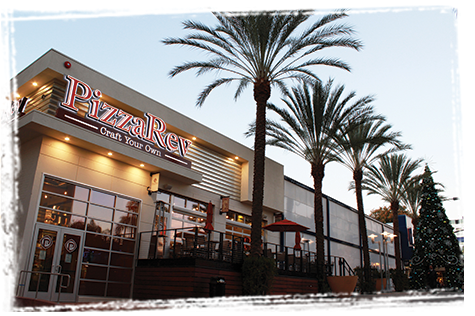 “These four exceptional franchise groups, along with our partner and first franchisee Buffalo Wild Wings, will each add tremendously to the PizzaRev story,” stated PizzaRev Co-CEO Rodney Eckerman. The deals will bring new units to San Diego County, Orange County, Utah, Nebraska, North Dakota and South Dakota. Away We Dough, LLC is part of William Tell, Inc. based in Salt Lake City, UT. Jeff Meyer and John Prince own and operate 18 Applebee’s and eight Famous Dave’s in Utah and Washington. The Restaurant Finance Monitor placed William Tell, Inc. at 151st of the Top 200 franchisees in the U.S. based on annual revenue. Away We Dough, LLC will be developing three PizzaRev restaurants in Utah. Todd Porter owns and operates nine Applebee’s, two Chevys and three Johnny Carino’s in North Dakota, South Dakota and Nebraska. Todd has been active in the Applebee’s organization where he sits on the Franchise Advisory Board and has been very involved in his community of Sioux Falls. 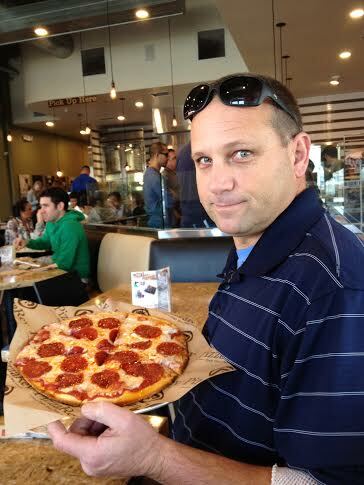 TNT Pizza, Inc. will be developing three PizzaRev restaurants in Sioux Falls, SD, Fargo, ND and Lincoln, Nebraska. 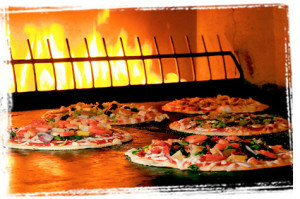 PizzaRev is a Los Angeles-based fast casual Pizza chain that has re-invented the way America eats its favorite food by presenting a truly interactive dining experience where customers craft their own pizzas choosing from a wide variety of high-quality ingredients, in any amount, for one price. PizzaRev fires its pizzas in a stone-hearth oven which produces a delicious, crispy Roman-style thin pizza in just 3 minutes. PizzaRev was founded in 2012 by longtime entertainment industry executives Irv Zuckerman and Rodney Eckerman, who bring Fortune 500 executive operating experience along with their Management team of highly experienced and long-tenured restaurant operators. PizzaRev announced a strategic partnership with Buffalo Wild Wings earlier in 2013, and Buffalo Wild Wings will open the first PizzaRev franchise location in early 2014. For a list of all PizzaRev locations visit www.pizzarev.com/locations. Join PizzaRev on Facebook www.facebook.com/pizzarevco and Twitter www.twitter.com/pizzarevco. Visit www.PizzaRev.com for updated news, videos and updated location information. 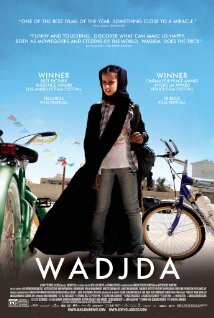 WADJDA, the first film shot in Saudi Arabia tells the story of an enterprising Saudi girl who signs on for her school’s Koran recitation competition as a way to raise the funds she needs in order to buy the green bicycle that has captured her interest. This is a unique film that offers insight into another culture and understanding of the oppression of women that live there. “It’s mind-blowing to me that a movie about the oppression of women was made in the exact environment it depicts,” comments KIDS FIRST! Film Critic Cassandra H. See her full review below.